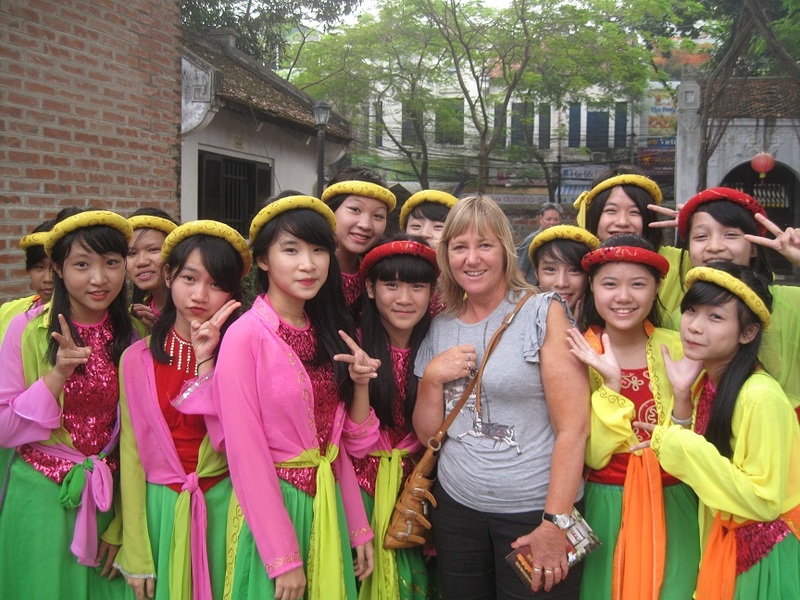 The tour is the experience peaceful life of the villages in Hanoi outskirts and enjoys exotic countryside food. We start by visiting the colorful amazing local market where everyone is friends. 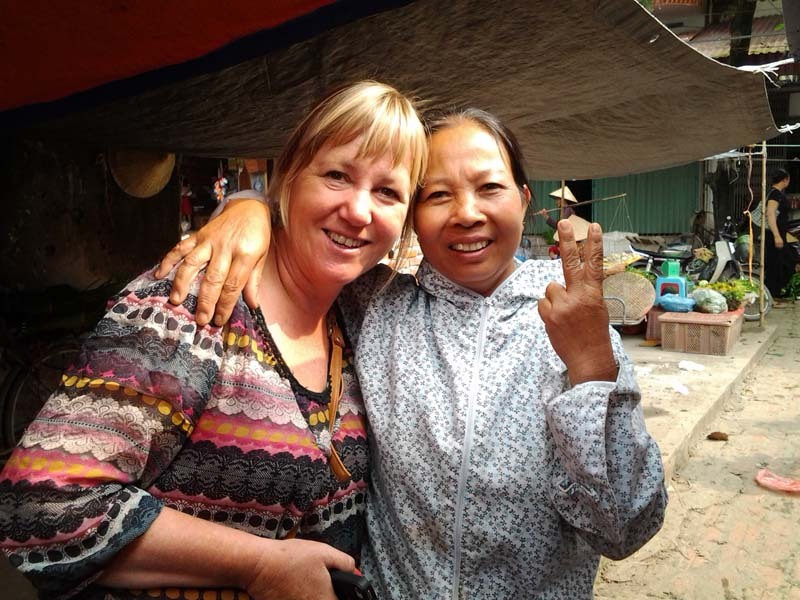 We will meet stall-holder, talk about their procedure and taste wide selection of delicious street food then buy some ingredient for our cooking at local home with host. 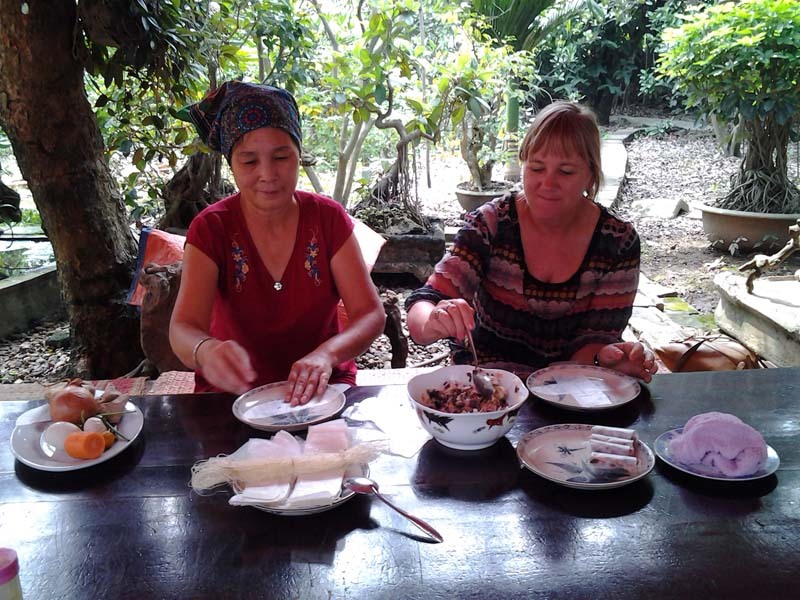 You will also have great chance to listen and talk with artists about Vietnam Folk Songs, try to be handicraftsman making a ceramic souvenir in Bat Trang Ceramic Traditional Village. The purpose of our tour is to help you having unique opportunity to taste the food and experience the food and traditional culture of the local villagers in Hanoi who is typical for Vietnam northern people. You will feel the peace of mind from the wind whispering over green bamboo, the cows grazing on dike, the extremely warm-heart villagers and of course, the amazing food and cooking. Local drinking: Mineral water; Nuoc Voi…. Notes: Surcharge 25US$/pax for transfer by private car. 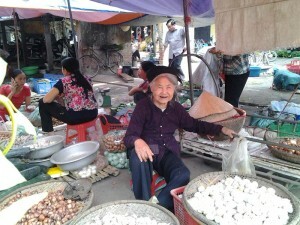 Nuoc voi (also called Voi tea ) is cooked by bud of Voi or dried leave of Voi or green leave Voi. This is a popular drinking in vietnamese village and some cities of Northern Delta Vietnam. Nuoc Voi is very goof for your health, help a good meal and good digestion..You can drink nuoc Voi like green tea every day.